Size (Inch) 14" X48",16" X 48",2" X 4",4" X 4"
We provide advanced quality range of Brass Sheet for all types of commercial requirements. These sheets are provided in various sizes as per the demands of our clients. They are highly strong, reliable and are used in various types of industrial and construction works. All our products are well checked on several quality aspects and are provided at the profitable price range. 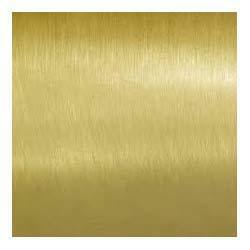 Looking for Brass Sheet ?